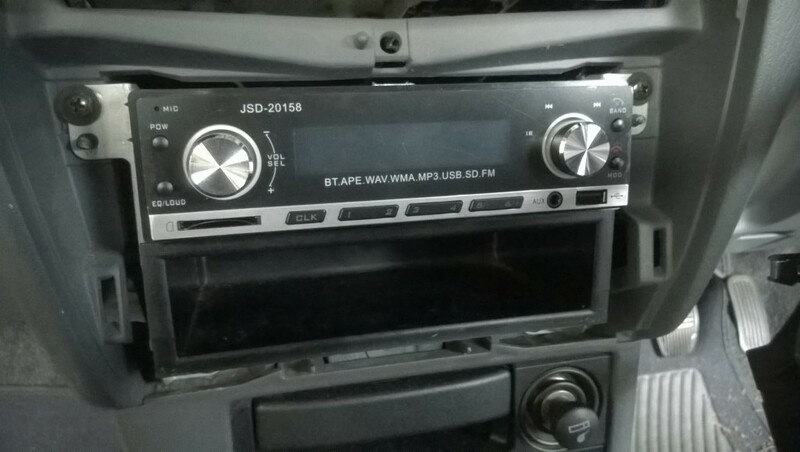 I have recently purchased a JSD-20158 and installed it in to my car. I had trouble finding any reviews to answer the questions / reservations I had in buying this so I will endeavour to provide all the answers I can here. Why did I buy a cheap car stereo headunit? My goal was to add bluetooth handsfree to my car due to the odd call I get on my daily commute which resulted in me dangerously fumbling for my phone often at the worst time. The choices were to buy a dedicated hands-free which I would only use once in a blue moon, or spend the same amount and bring the whole stereo up to scratch. 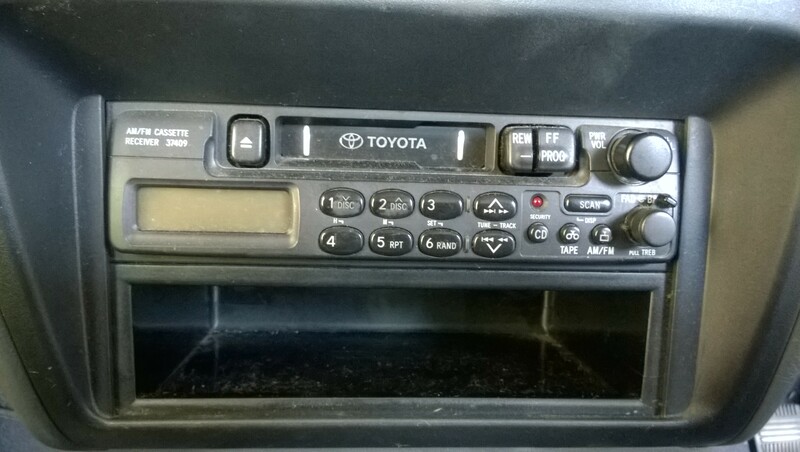 My (ageing) car had its original stereo, which was a tapedeck and am/fm radio, with two 4 inch front speakers. How did I end up choosing the JSD-20158? 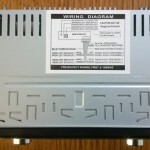 I couldn’t justify the $100+ pricetag for a namebrand unit, so off to ebay I went. 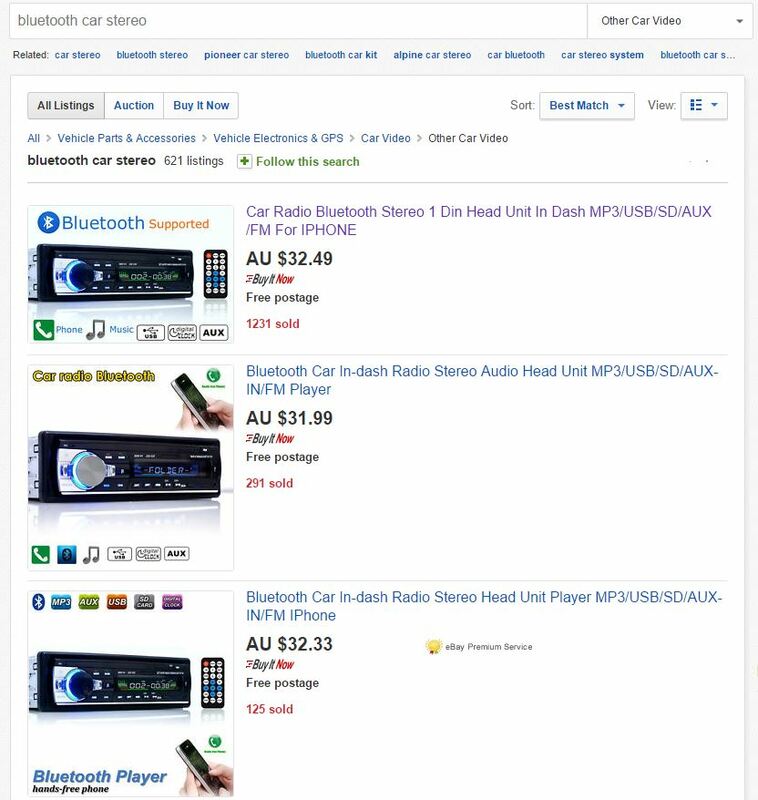 When searching for bluetooth car stereo you get a vast amount of results however they all have a very similar look – like they were made in the same factory but little details have been changed to rebrand them. As they were all around the same $45 mark it seemed like these were the standard radios for this price. 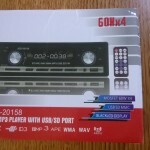 This was confirmed on a visit to Aldi, who had their own version of the same radio under their brand for a very similar price. With the large number of ‘sold’ numbers next to each listing, and Aldi’s own take on the same product, how bad could it be? So off to youtube I went to find out the quality of these. That is where my plan to purchase the common models fell through – the knob seemed very flimsy, the silver buttons seemed a little wobbly – all to be expected from such a low price. 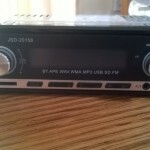 So I ended up finding alibaba, and a different model radio – the JSD-20158 – which could possibly be a more recent refresh of the same innards. 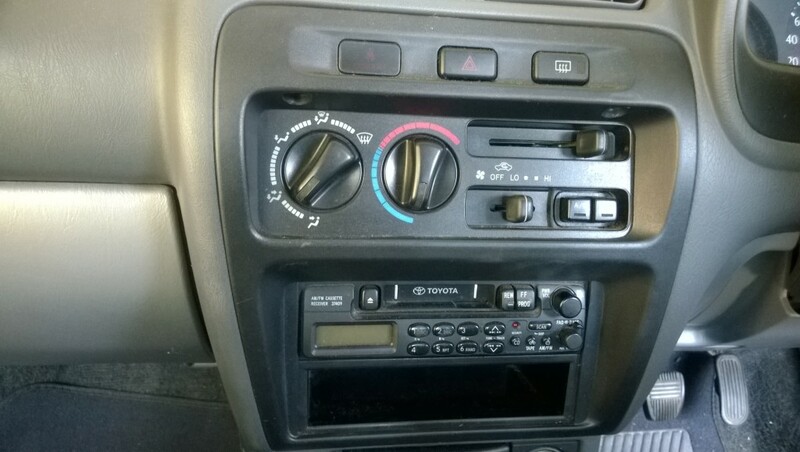 Not the most flashy (in car stereo terms) but the one youtube video I managed to find confirmed the knobs were far more solid, and had what looked to be a much more quality feel to it. Decision made. One of the main things that grabbed me was that the left knob had a notched-type movement to it which showed they put in the effort rather than having it freely rotate. I found an Australian seller on ebay, bought it, and waited by the letterbox. Not packed very well for shipping however it arrived in one piece. Very light, and initial playing with buttons and knobs confirmed I had made the right decision by purchasing this model over the others – has a fairly solid feel to it. 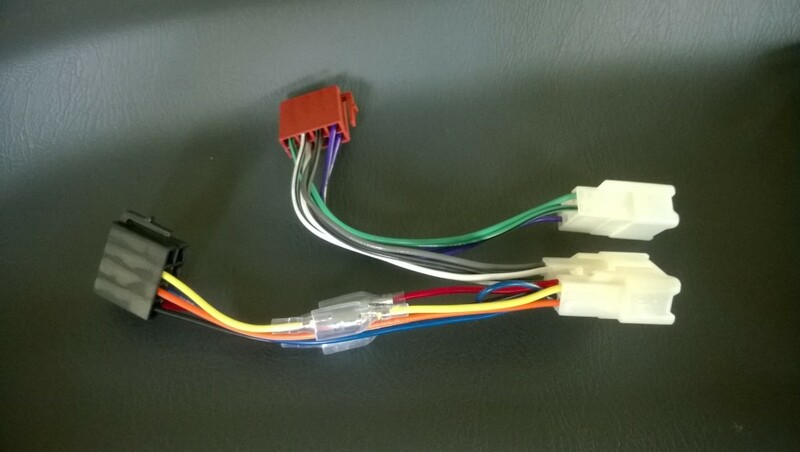 Wiring was fairly straight forward with the use of a Wiring Harness ($20 – purchased separately) which mimics the sockets on the back of the original radio. This is plugged in to the original wiring in the vehicle, and soldered colour-for-colour to the (included) Wiring Harness for the new stereo, and plugged in to the original plugs in the vehicles wiring. 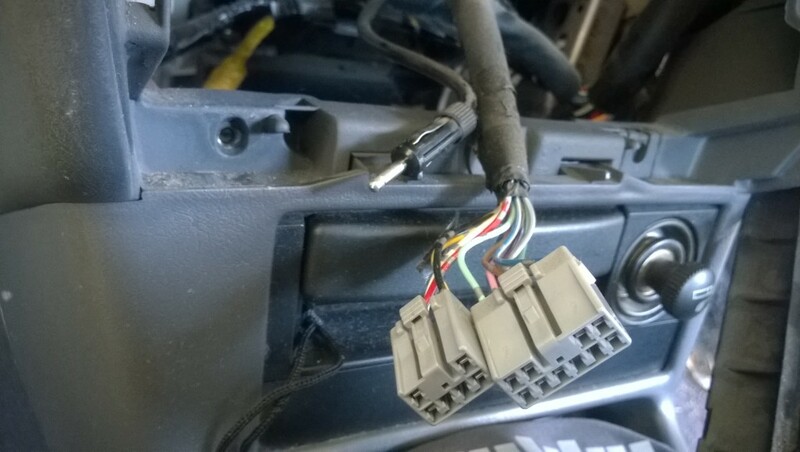 This could be installed using common terminal strips where a screwdriver would be all that is needed. 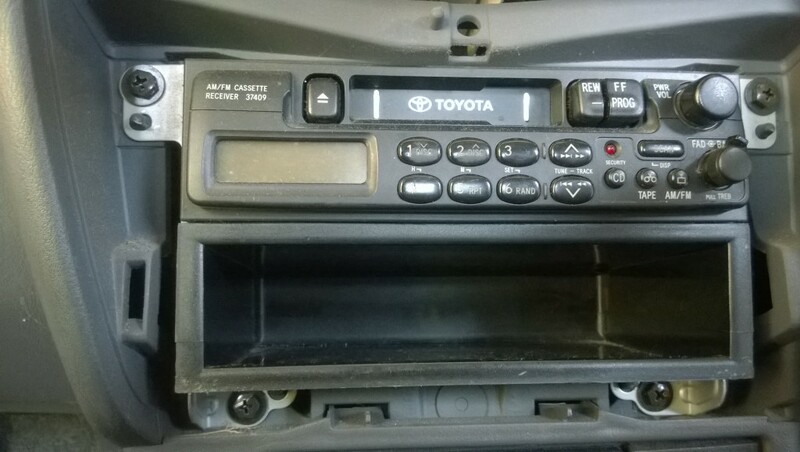 Installing the physical stereo was a little tricky due to my car (Toyota Starlet) not having a standard DIN mount. The sizing seemed correct, but there’s a cover over the top which got in the way. A lot of wrestling with the frame, some guesswork, and Roofing Screws and I finally got it mounted and in-place. Yes! Peeled all the protective plastic off and powered up first go on ACC. 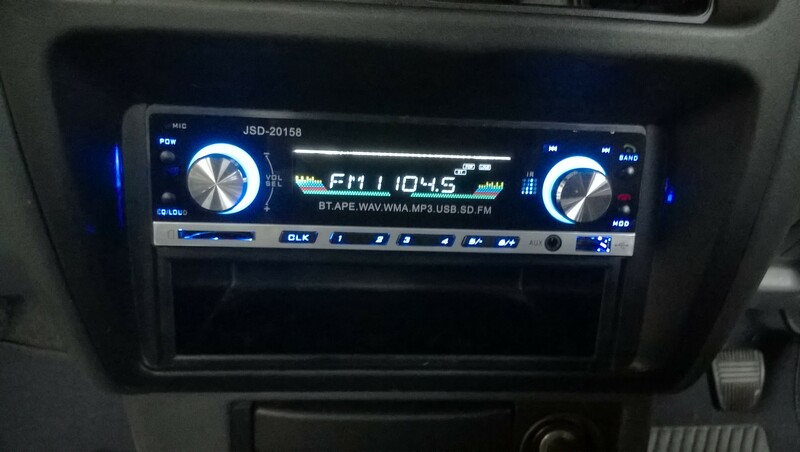 Tuned a few radio stations, played with the EQ presets, tested receiving a phone call – works just as intended and looks great lit up! 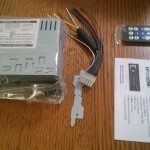 Cheap – $65 total when including the wiring harness. Looks great even during the day. Bluetooth hands-free. When a call comes in the music mutes and the callers phone number scrolls across the display. Inbuilt microphone works well. 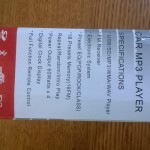 Supports USB keys, Memory Cards, Audio in via headphone cable, Bluetooth streaming. Knobs have a smooth solid feel to them. Comes with a Remote Control! Date is stored in backwards format (Year-Month-Day), common to programmers. Very limited selection of EQs. Buttons aren’t as solid as they could be, but still pretty good. 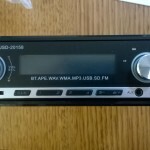 Storing a radio station preset doesn’t give the common reassuring beep after holding a number down. 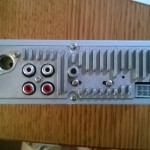 Radio receiver appears a little weaker than the original unit – great with most stations but will get the odd static on others. The flat front reflects a lot of glare – mainly an issue in the morning when the passenger seat is in the sun. I find the volume knob works backwards to how I would expect. It’s clearly marked, but I find I operate it wrong sometimes without looking.